"We are steadily moving away from the hospital-centric healthcare system to one that is centred around primary and community care." It is clear from the direction of the Ministry of Health, the work of the GPSC, and the voice of family physicians and patients that the primary care system needs to change. The goal of this change is to create an integrated system of care that enables appropriate access to quality primary healthcare that effectively meets the needs of patients. 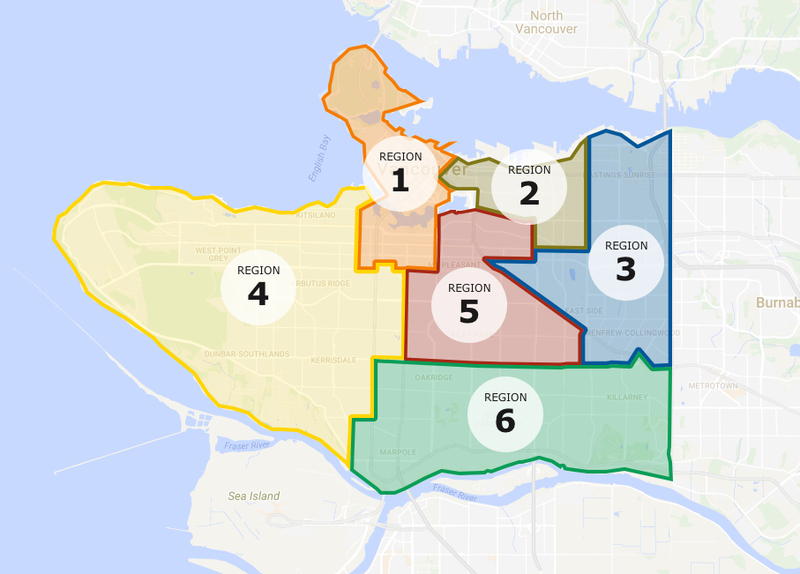 ​​Vancouver will be divided into 6 regions, which will allow for the development of local physician networks, each appropriately supported to address the needs of their unique patient populations. Our goal is to create a primary care framework that allows for the deployment of resources to improve appropriate access to primary care, increase capacity in local communities, and support family physicians to continue to provide quality care for their patients.